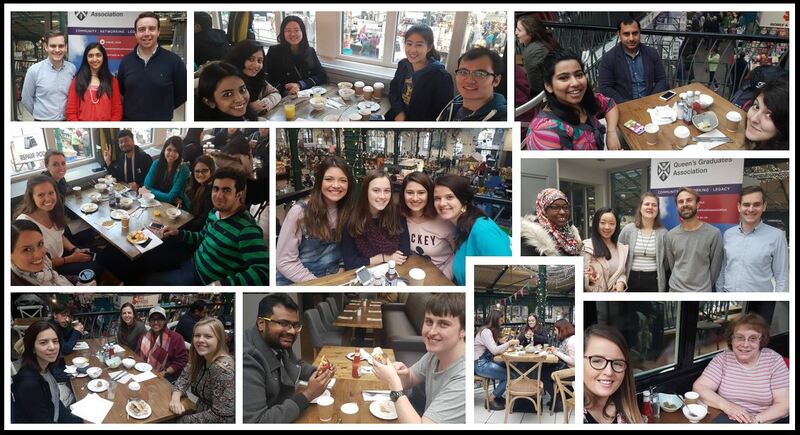 Queen’s Graduates’ Association (QGA) has again introduced dozens of international students from as far away as India and the USA to the delights of traditional 'Norn Iron' food, at its second Welcome Breakfast held on Saturday (16 September) at St George’s Market. Over 60 first-time international students attended the increasingly popular event, when they were hosted by QGA President Fergal McFerran, members of the Association committee, staff from the Development and Alumni Relations Office and from the Students' Union. Commenting on the Welcome Breakfast Fergal McFerran said: “We were thrilled to have been able to play our part in welcoming some of the University's new students from across the world to Belfast. While our Association exists primarily to maintain the link between our alumni and the University, we recognise the role we can also play in strengthening relationships across the entire Queen's family. "Last year was the first time we held this Welcome Breakfast and I'm incredibly pleased to see it continue to draw large numbers as it is a great opportunity for us to provide a warm welcome to the city of Belfast for many who have never been here before." The Association organises a varied programme of regular activities throughout the year including talks and visits (mainly in the Belfast area) and University-focused events. The highlight is always the annual 'black tie' Charter Day Dinner in the Great Hall in November (taking place this year on Friday 24th), which attracts around 100-120 graduates and guests.